Here are the new English Proficiency Test / EPT Reviewers for Teacher Applicants. 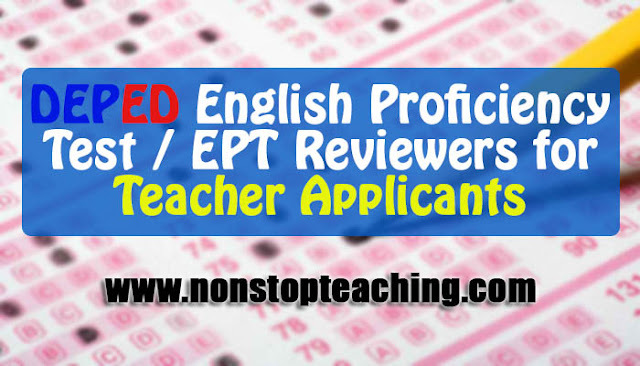 Here are the new English Proficiency Test / EPT Reviewers for Teacher Applicants. The following Sample EPT Reviewers with answer keys are free, printable and downloadable in portable formats like (pdf, docx, doc). Feel Free to download the files here.